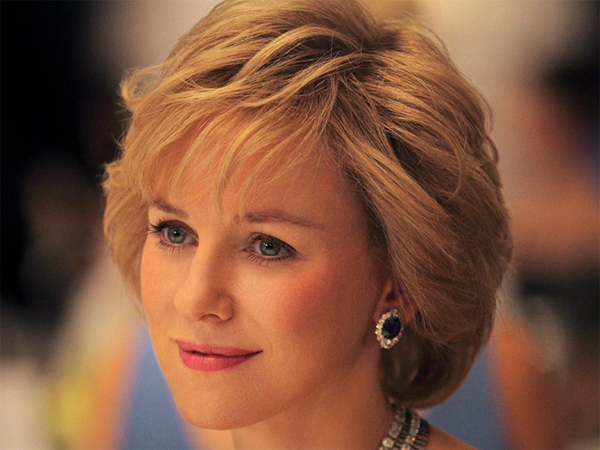 Naomi Watts hopes her film Diana will remind people why they loved the late princess so much. Naomi Watts believes Princess Diana's legacy is that she made the British royal family more accessible. The 44-year-old actress portrays the late icon in new biopic Diana and believes the princess ultimately had a positive effect on the royal family, despite the fact her marriage to Prince Charles ended acrimoniously in December 1992 and continued to attract scandalous headlines until their divorce in August 1996. Speaking at the world premiere of the film at the Odeon cinema in London's Leicester Square on Thursday night, she told BANG Showbiz, "She made the royal family in my mind more accessible, more human and I still think we're very uncomfortable with the fact she's not here. "Hopefully audiences will be reminded of all the good feelings they had about her and be reminded of her great legacy." Naomi believes the film's focus on the final two years of Diana's life before her tragic death in a car crash in August 1997, aged just 36, show a woman reinventing herself after her fairytale life with the future British monarch ? the son of Queen Elizabeth II ? turned into a nightmare. She mused, "After she divorced Charles and lost her royal title I imagine it would be hard to reinvent yourself and she seemed to do that, and I guess this love story played a part in that, to give her the confidence to do that. Despite the tragic ending to her life she was definitely reaching her highest potential before." Diana lost the title Her Royal Highness after her divorce, but was still considered a member of the British royal family and was referred to as Diana, Princess of Wales, because she was the mother of Prince William ? the second in line to the throne ? and Prince Harry. Naomi stars in Diana with Naveen Andrews, who plays Dr Hasnat Khan, the surgeon with whom the princess had a relationship after meeting him in September 1995.